Hyente, your reliable partner in water technology! Hyente is your reliable partner in water technology for over 30 years now. 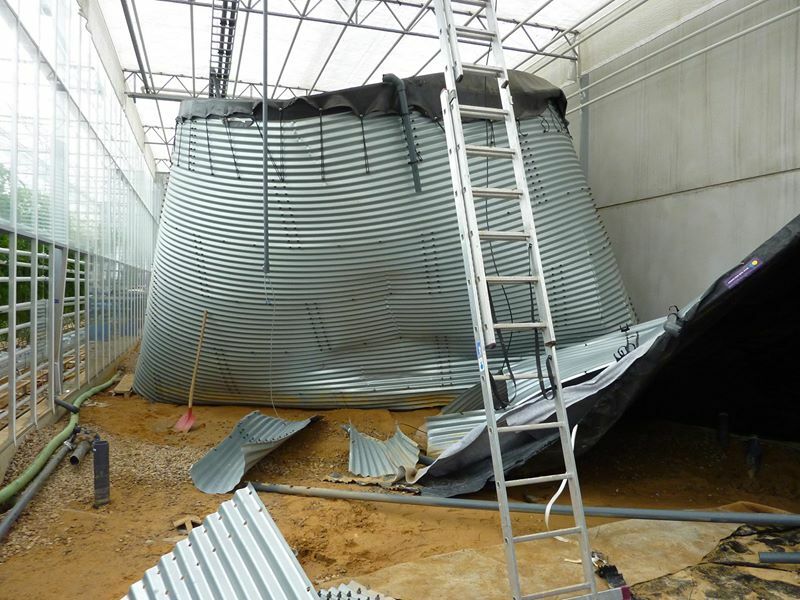 We are specialists in repairing water silos and water tanks in the horticulture. We are an officially certified company for water silo inspections. 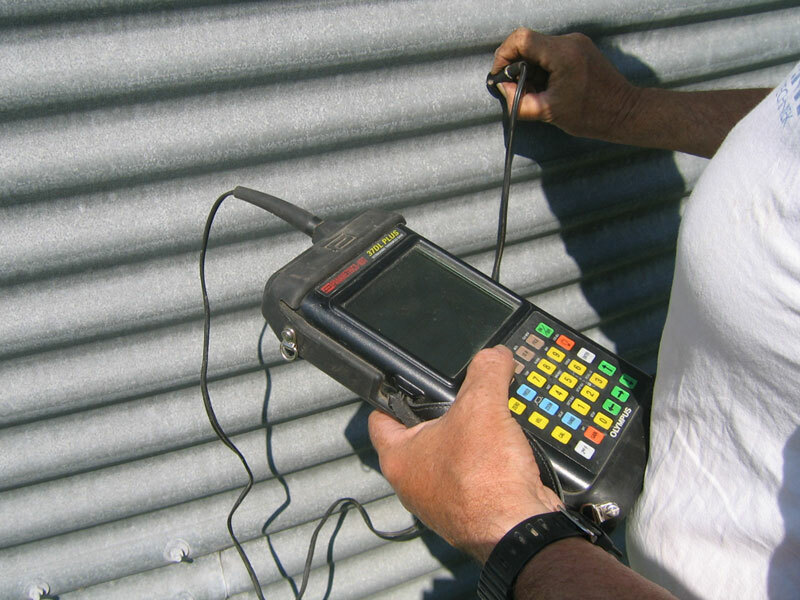 With our ultrasonic thickness gauge we can detect weakness in the steel plates of your silo easily. Weak spots often indicate corrosion and can result in the collapse of the silo. Are your water silos being inspected periodically? To prevent small problems from becoming big ones! 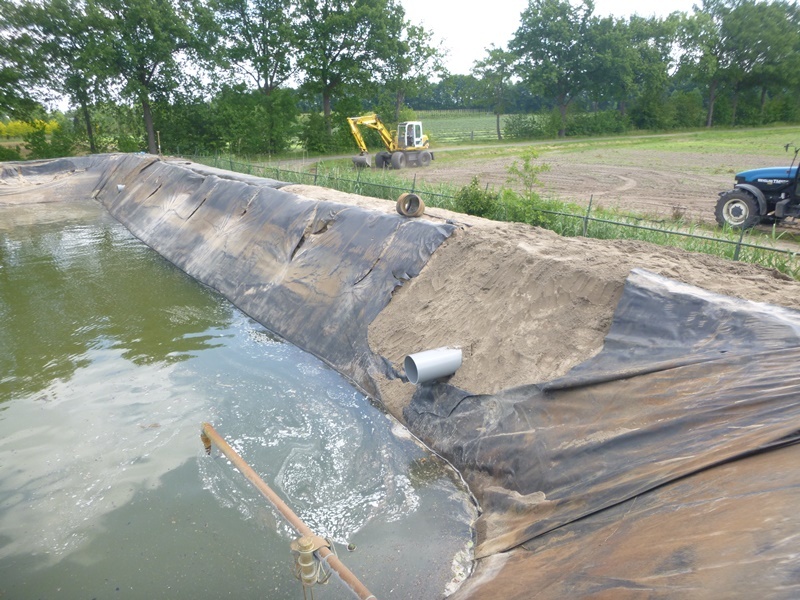 If necessary we professionally repair the foil on your embankment and slope of your dike. Foil damage in your pond or swimming pool? You can also count on us. We will always try to repair without the loss of water. We work with non-toxic materials. We are situated in the Netherlands, but we will happily go beyond borders to help you out. We have happy customers in Germany, Belgium, France, Austria, England, Scotland and Spain already. Do you have any questions or want to make an appointment?